What Google’s New SEO Algorithm Means to Your Website. The rules of SEO are constantly evolving. Search engines like Google update their algorithms so frequently, and it can be dizzying to know how to get your site ranked the way you want. One thing is clear, however: keywords just aren’t enough to get you the traffic you want. So what will give you results when it comes to SEO? According to Google’s latest algorithm, Hummingbird, you need to build sitewide trust. Trust is the core component of Google’s relevancy-oriented search, and without it, you won’t be relevant. Building real trust with Google isn’t easy. The smarter the system gets, the harder it can be to rank. But don’t worry just yet. There are things you can do to ensure that your site still ranks the way you want it to. Google’s algorithm rules aren’t arbitrary: they have a purpose. Before you can improve your SEO ranking, you have to understand the ultimate motivation. Google’s main goal is to deliver the most relevant search results as fast as possible. They use deep neural networks of data to create a system that can think like the human brain, or attempt to, anyway. This approach is called “deep learning” and it’s used all across the Internet to improve user experience. It’s ultimately an effort to help computers process information the same way humans do. So when you search for “best website design ideas,” you get results based not only on your query, but on your search history, what other people are searching for, and what sites have content that closely resembles what the engine thinks you mean. The smarter that the algorithms get – the more humanlike – the harder it is to “game” the system. Plugging your site with random keywords doesn’t work anymore, because Google can see through your attempt to keyword stuff. Instead, you have to get Google to trust you. How do you do this? In a book entitled SEO 2017: Master Search Engine Optimization, R.L. Adamslays the groundwork: You build trust with age, authority and content. You may think that using age as a ranking factor puts newer sites at a disadvantage, but know that with Google, age is more than a number. Google relies on its relationship with your site over time to judge whether or not you’re trustworthy enough to list on the first few pages. Time is still a factor – the longer it knows you exist, the more likely you will be to rank – but if it sees that you produce value for visitors over time (you have heavy traffic, your site gets linked to, you produce frequent content, etc. ), your relationship will improve. For sites that have been around longer, this gives you an automatic boost to your rankings, which may come as a relief. For newer sites, or those that post less frequently, you will still have to build up your reputation over time. Keep in mind that age doesn’t necessarily mean when you launched your site, though. Age refers to the indexed age, meaning when Google actually discovered you first. So if you had a site for a while but haven’t done anything with it until now, you will still be a baby in Google’s eyes. If you don’t have age in your favor, you can also boost your ranking with authority. In the past, you would build authority through your Google PageRank. The higher on the scale of 1-10 your site sat, the more trusted it would be. If you could link to more established (higher ranking) sites, you could boost your own score. While Google still uses PageRank as a factor in SEO, they no longer gives public access to PageRank ratings, making it impossible to know how you actually fare. Instead, Google uses Domain Authority to determine the trustworthiness of your site. Domain Authority is a score (100 points) developed by Moz that predicts how well a website will rank on search engine result pages (SERP). While it’s not a direct replacement for PageRank, it does allow you to see where your site sits in the rankings. What makes Domain Authority helpful is that it gives you a way to measure the strength of your links. You can see exactly which sites are giving you the best boosts and which links are altogether worthless for your ranking power. Optimizing your internal links – Making sure links go to relevant content, use natural anchors that make sense to users, are linked to the right keywords, etc. Pursuing higher quality links – Linking to trustworthy (older, more established) sources, putting your site in a directory like Google My Business, Yelp, TripAdvisor and the Better Business Bureau, etc. The better links you have (the better your link profile is), the better your Domain Authority will be. The other thing that Google looks for when building trust is fresh, quality content. When you publish quality content on a regular basis, you give Google more opportunities to index your site for links as well as for targeted keywords (yes, keywords still matter). Frequently adding content, like blogs or articles, allows you to optimize the article with pertinent keywords that can attract visitors to your site, and provides you additional ways to link to authoritative sources and higher ranking sites. The trick is that your content has to deliver genuine value. In the past, Google’s algorithms would look at the number and frequency of keywords being used throughout the content on your site to determine relevancy. But the trouble with this is that Google’s new algorithms actually punish keyword stuffing. 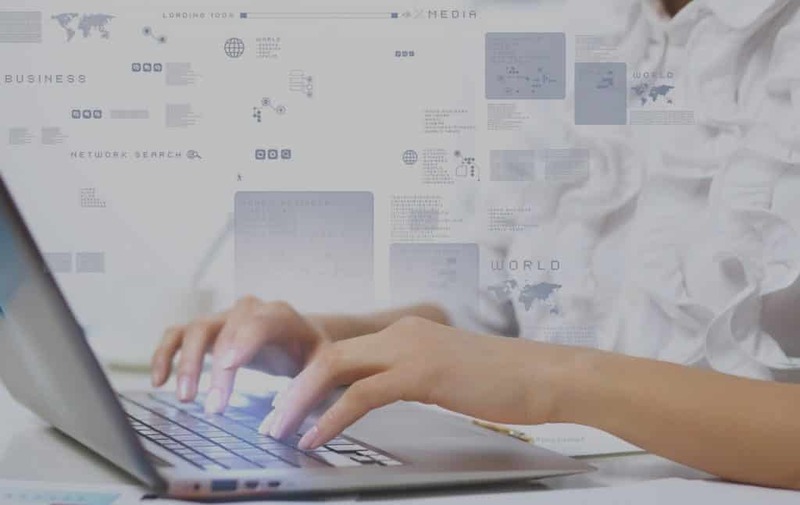 Instead, the algorithm looks for specific keywords or keyphrases (even “natural language” search phrases and questions) that fall into the content naturally. In other words, the keywords have to make sense in context – and yes, Google can tell. The good news is that you can publish as much content as you want, as long as it’s high-quality. This can be one of the best strategies for newer sites looking to rank higher in SERPs, since Google will still build a relationship with your content even if you haven’t been around for long enough to have age or link authority. If you want to create a site that ranks under Google’s new SEO algorithm, you have to focus on building a relationship with Google and steer clear of smarmy tactics like keyword stuffing or over-linking. Thanks to Artificial Intelligence, Google thinks and acts more like a human when it processes your site, meaning that, in a way, it’s judging what you have out there. In order to make sure it trusts your content, you want to produce content that offers value for searchers, build natural links and relationships with other high-ranking sites, and stick around long enough for Google to see you. Ask us what we can do to help. It’s easier than you think. Get your SEO strategy figured out, then go crazy creating content. When it comes to driving traffic to your blog, one of the most common mistakes people make is spending too much effort on things that barely move the needle. The entire goal of establishing an effective online presence, after all, is to one day cross the threshold where people find you more often — ideally far more often — than you spend time trying to find them. Social networks, for example, can be a great way to drive traffic to your blog. But they are not the most dominant force out there. Similarly, advertising on social networks can be effective, but only for the length of time you are running them and shelling out cash. It’s yet another machine which, with rare exceptions, does not compound upon its success. This is why the vast majority of top bloggers, even those spending a lot of time promoting themselves on social media, will tell you that social media is not where they get the majority of their traffic from. An influencer in this space who knows this all too well, Darren Rowse, runs ProBlogger, a website with a huge following that teaches bloggers how to create and grow their blog. I heard him speak to this issue of — where bloggers get traffic — on his podcast, so I reached out to him to get more detail. Search engine optimization, or SEO, is really the only traffic-driving force that has the potential to one day cross the bell-curve and work passively in your favor. The chances of someone stumbling across your social post from a year ago and sharing it with their audience, for example, is highly unlikely. And yet year-old blog posts constantly find their way to the top of search queries and continue to bring in big ticket traffic for websites that understand the value of quality content. Marketing and SEO expert Neil Patel attributes his blog’s 206 percent traffic increase to the art of search engine optimization and the effectiveness of creating valuable content for the web. So, what are the steps to creating content with an SEO strategy in mind? 1. Start with relevant keywords, and search for the low-hanging fruit. Use Google’s keyword planner, or a tool like Ubersuggest. Search keywords on Quora, and look for what questions people are asking. Do a few web searches with those related keywords to see who is currently dominating the first two pages of search. 2. Create long-form content for better searchability. Marketers often talk about how today’s online readers have short attention spans, but I don’t buy this for a minute. Readers don’t hate long form content, they hate bad content. They hate bad content even more when it’s long. If the content is great content, then they want even more of it. What this means is that trying to stand out with short-form content in a world of saturated short-form content is extremely difficult. However, if you come in wielding long-form, keyword specific, valuable content, you are far more likely to rise to the top of the rankings and accumulate more organic search traffic. Just make sure it’s great content people actually want to read. 3. Establish a network of backlinks from other websites. Reach out via email to relevant content publishers in your space or market, and let them know about your content piece. Ask them if it’s a good fit for their audience, and if so, to feel free to share it. Create a similar piece of content for another website, and link back to your own content as an added resource or reference. Quote or otherwise include relevant content creators in your space in your content, and when you publish it, tag them in your social media posts with the article. Do you think they’ll share it? Of course they will! The key is to get what you’ve created in front of the right people, whether that’s through email outreach, social media or even good old fashioned networking. With SEO there’s bad news, and there’s good news. The bad news is that SEO is a long-term strategy, which means you’ll need to do a lot of work for a long time to get consistently great results. The good news is that because it’s a long-term strategy, most of your competitors won’t focus on it, and then you win. Apple meanwhile announced yesterday that Safari will soon stop websites from automatically playing audio or video without your permission. The company’s next browser update will even give users the option to load pages in “Reader” mode by default, which will strip not only ads but many other layout elements. The next version will also step up features to block third parties from tracking what you do online. But the two companies’ plans don’t just mean a cleaner web experience. They represent a shift in the way web browsers work. Instead of passively downloading and running whatever code and content a website delivers, these browsers will take an active role shaping your web experience. That means publishers will have to rethink not just their ads but their assumptions about what readers do and don’t see when they visit their pages. For years, browsers have simply served as portals to the web, not tools for shaping the web itself. They take the code they’re given and obediently render a page as instructed. Sure, browsers have long blocked pop-up ads and warned users who tried to visit potentially malicious websites. But beyond letting you change the font size, browsers don’t typically let you do much to change the content of a page. It might seem weird for Google, one of the world’s largest advertising companies, to build an ad-blocking tool right into one of its core products. But the search giant may be engaging in a bit of online judo. Google only plans to block ads on pages that feature types of ads identified by an ad-industry trade group as the most annoying. Google may be hoping that stripping out the worst ads will eliminate the impetus to download much stronger third-party ad blockers that also block its own ads and tracking. Apple, which doesn’t depend on advertising revenue, is taking a more radical approach. In addition to blocking cookies that could be used to track people across sites, the company will also give users the choice to display only the main content of a page, throwing out not just ads but extras like lists of “related stories” and other enticements to stay on a particular site. The page’s prescribed fonts and color scheme get thrown out as well. Safari has offered the reader view as an option since 2010, but traditionally you’ve had to load a page before you can turn the option on. Letting people turn it on by default means they could visit pages and never see the original versions. That’s a big change that goes well beyond ad-blocking. It means that a page’s code could soon act more as a set of suggestions for how browsers should present its content, not a blueprint to be followed as closely as possible. That doesn’t just change the way companies have to think about ads. It changes the relationship between reader and publisher—and between publishers and browser makers. 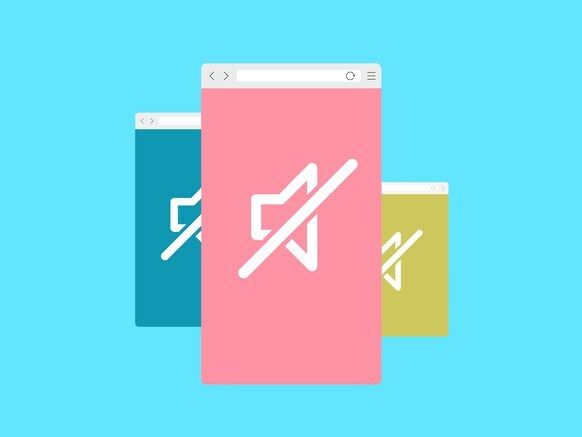 For example, Brave—the privacy-centric browsing company founded by Firefox creator Brendan Eich—hopes to essentially invert the advertising business model by having the browser, not the webpage, serve up ads, then share the revenue with publishers. That’s just one new model that this new paradigm makes possible, whether publishers like it or not.